Latest figures indicate 1 in 8 are uninsured. That's almost a 20% increase since 2000. Most are middle class. Many are not close to facilities that can serve them. "Like other uninsured Americans, most uninsured vets are working people -- too poor to afford private coverage but not poor enough to qualify for Medicaid or means-tested VA care,"
The study notes that in January 2003, the VA ordered a halt to the enrollment of most veterans who are not poor. A halt in enrollment? Why? The move was designed to reduce the backlog of patients waiting for care. Reduce queue's by denying services. Helpful Resources: IB to the Rescue! 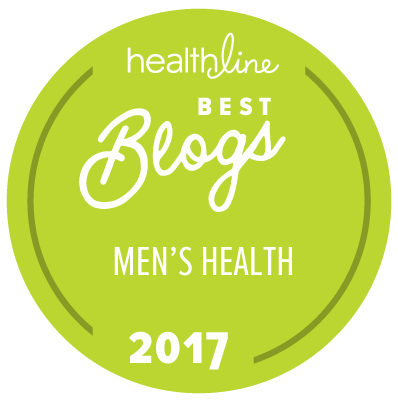 One of the great links on our blogroll is courtesy of our own Bob Vineyard: Bob collected and organized his Patient Assistance Programs roundup as a way to help his own clients, and has graciously shared them with us. The PAP is a compendium of links that "provide assistance to low income individuals & families when it comes to medical care." And our West Coast contributor, Bill Halper, braved the flames to bring us a link to the Foundation for Health Care Coverage Education. At Coverage for All, "you'll find options for free or low cost health coverage," as well as other valuable and helpful tools. We've just added CFA to the blogroll. Thank You Bob and Bill! When I recently told a friend about these resources, he was surprised, and a little angry, that this information wasn't more widely publicized. It's really not a deep, dark secret, but I do agree that the industry could do a better job of making people aware of these tremendously helpful programs. We're just doing our part. And Mike has pointed out that, regardless of one's insurance plan, it may well be worthwhile to take advantage of the new generic offerings at such retailers as Walmart, Target, Kroger's and others. For some, this will be an obvious savings (i.e. those whose plans include a minimum generic co-pay, usually far in excess of $4), while for others the savings may not be as large (those without such restrictions). How much more empowered can one be than to have so many choices? And how much more transparent can we get than "$4" in blazing neon? UPDATE: And Faithful IB Reader Fred sends us this helpful link, which has a whole round-up of low and no cost government sponsored health care programs. Thanks Fred! Recently, we looked at Wellpoint's new provider survey courtesy of the folks at Zagat. While imperfect at best, it represents a move in the right direction, i.e. provider transparency. "Cigna agreed to make public how it ranks doctors, won't evaluate its physicians on cost alone and will allow an independent national standard-setting organization to review its efforts every six months." And this won't be based on office decor or smiles-per-member, either. The rankings will take into account more critical metrics: cost and quality will figure more prominently in these measurements. I have discovered a niche market. Can't figure out why no one has thought of this before. Like the pet rock, this fills a need. I call it Stupid Insurance. What does Stupid Insurance cover? All the things people want insurance to cover but doesn't. Here are just a few that have come to my attention over the last few months. All are the result of conversations with real people. Warning. This is not for amateurs. Do not attempt this at home. Sterilization reversal. Stupid Insurance will cover the cost of reversing a tubal ligation. No waiting period. Perhaps they will throw in maternity coverage at no additional charge and guarantee you a beautiful baby. The government will also give your baby a $5,000 savings bond. My doctor says I need to be tested insurance. Stupid Insurance can be purchased immediately after your doc tells you that you need extensive testing such as MRI, CT or even surgical biopsy. The cost of these tests could run several thousand dollars so you need to call and get an insurance policy now. Stupid Insurance will cover any and all testing as well as the follow up treatment. Warning. Stupid Insurance does not cover testing to see if you have a working brain. I got sick and now I can't afford it coverage. Stupid Insurance can be purchased at any time, including following diagnosis of a major illness including heart disease, cancer, stroke, diabetes. All medication & treatment is covered at zero out of pocket to the patient. Stupid Insurance should only be purchased AFTER you need it. I don't know how it happened. We only did it once. Stupid Insurance can be purchased after conception and will cover all pre-natal, delivery & post-partum charges. Stupid Insurance will throw in free cigars for the proud dad (if you know who the father is). I don't know what it is but it really hurts insurance. Stupid Insurance will cover all testing and treatment for your undiagnosed illness or injury. Full coverage, no waiting period. Disclaimer. If it doesn't hurt, Stupid Insurance will not cover it. I didn't buy insurance before because I wasn't sick, but now I need it insurance. No worry, Stupid Insurance will cover it. If you cannot afford the premiums someone from the government will find some stupid taxpayers to pay them for you. These are just a few things Stupid Insurance can do. I probably missed a few, but these are a start. I cannot figure out why carriers have not hit on this market before. Last week, we brought you a brilliant vidclip perfectly illustrating the twisted logic behind Congress' funding of S-CHIP. Well, the mysterious nicolai1951 is at it again, with further visual commentary on our legislators' hypocrisy. "UnitedHealthcare, PacifiCare® and SecureHorizons® are concerned about the well-being and livelihoods of those affected by the ongoing wildfires. We want to ensure affected members receive the care they need without any delays or disruptions." So begins an email I received this morning from UHC. A link embedded in the email takes us to a 2 page summary of measures the carrier is taking to ensure that its' members' health care needs aren't too disrupted by the Golden State's blazes. Perfect? Of course not. But it's a realistic response to a horrendous situation. The Carnival of Personal Finance is up at Millionaire Mommy Next Door. Along with a potentially mind-numbing 92 entrries, she's running a contest, complete with prizes. As has become de rigeur lately, she starts off with a Top 10 list, and then links to the other entries. I thought Paid Twice's post on financial incentives and health insurance was both timely and well-written. We've blogged on this subject before, but this was from the insured's POV, which is different, and helpful. And the Start Up blog hosts this week's Carnival of the Capitalists. The SU blog is new, so it's pretty exciting to see them jump into hosting so quickly (and well). Our hosts present 43 entries, starting with a Top Five list, and then the rest broken out into 5 helpful categories. Mine Your Own Business talks about, believe it or not, Bad Ideas. Really! But it'd be a good idea to read it. I am not a carpenter, but I do know which end of the hammer is to be used for driving a nail. 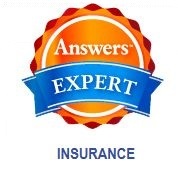 I am an insurance broker and (most say) a very knowledgeable one. I don't tell carpenters how to build a house, or mechanics how to fix my car or plumbers how to remove pantyhose from the toilet. (Don't ask). So why do folks who are very good at what they do want to tell me they can do a better job of finding health insurance than I can? (Phone rings). I am looking for health insurance for my wife & me. I take down a few details needed then start into the medical questions. Well my wife has a heart condition, nothing serious. She takes Toprol for it. Oh yeah, and she is a smoker. Bells go off. I know this is going to be tough. I press for more information on the heart condition. Finally have to call the wife. She calls the doc, then later tells me it is PSVT. Doc says this is fairly common. Maybe 80% of the population has it and doesn't know it. No big deal. No big deal to you, and apparently no big deal to your doc, but underwriters look at it differently. I tell her I will have to check with some carriers before quoting. Oh it won't be a problem (her husband tells me). Never has been in the past. So I contact the carriers. I have 2 immediate rejections, a few full cardio waivers (no coverage at all for cardio issues), one modified waiver (arrhythmia not covered) and one possible full coverage with a 50% rate up. I relay the information to the husband. He goes ballistic. She has never had a problem before. One carrier (who said either a rejection or a 40% rate up AND 3 year cardio waiver) had covered her before without a problem. And she doesn't have arrhythmia. She has PSVT. Well that was then, this is now. That carrier used to take anyone who could fog a mirror. They got burned playing that game and now they are the most restrictive. Here is the truth. You are a carpenter and I would imagine a very good one. You have made a living at your trade for over 10 years. You must be doing something right. I make my living helping people like you find health insurance at an affordable price. The prices and terms are realistic, not some fluff job. I have been doing this for over 30 years. I stewed over it for a few minutes. OK, maybe a bit longer. Actually, it still bothers me. I know my business very well. I deal in truth, not lies or fluff. Sometimes carpenters, mechanics, school teachers, etc. would rather believe something else. Guess Jack Nicholson said it best in "A Few Good Men." "Thousands of "health tourists" are going as far as India, Malaysia and South Africa for major operations – such is their despair over the quality of health services." "The first survey of Britons opting for treatment overseas shows that fears of hospital infections and frustration with NHS waiting lists are fuelling the increasing trend." What's interesting is that we see "medical tourism" here, as well, but it's all about price. There are no waiting lines, and few concerns about quality of care. Americans are famous bargain hunters, and medical care doesn't seem immune. But for our cousins across The Pond, it's quite obviously not about price (after all, it's "free"), but the very real lack of care, both in quantity (waiting lists) and quality (lack of sanitation, for example). "More than 70,000 Britons will have treatment abroad this year – a figure that is forecast to rise to almost 200,000 by the end of the decade." That's a lot of "tourists." Many of us count on roasted (and, often, salted) peanuts for a quick "pick-me-up." They are yummy, but also less than optimally healthful: the salted ones are high in, of course, salt, and the roasting process can destroy many of the beneficial compounds that the treats originally contained. According to a study in next Wednesday's edition of the American Chemical Society's Journal of Agricultural and Food Chemistry, "(b)oiling is a better method of preparing peanuts in order to preserve these phytochemicals." "Boiled Peanuts." Ask for them by name! Judy Mazel, who wrote the 1981 best-selling Beverly Hills Diet, has succumbed to complications from peripheral vascular disease. The book itself enjoyed its well-deserved "15 minutes," as did its author. "After studying for several months with a nutritionist, Mazel came up with a theory about food enzymes and the digestive system that she formulated into a complicated weight reducing plan." Rest in Peace, Ms Mazel. When 6-year-old Chantelle Hill's father, David Hill, contracted lung cancer, the compassion-impaired NHS decided that the contractor really didn't need (deserve?) the life-saving med's that are available at no cost in SCotland, because in England, they're apparently not "an effective use of NHS resources." And so, the brave little girl has been raising money to pay for her father's chemo; thus far, she's raised enough for about 2 months of treatment by putting up posters asking for help. This being enrollment season for group insurance participants, I was helping my son review his medical plan the other day when I experienced a little epiphany. I noticed his Rx benefit pays 70% with copay limits of $10 for generics, $35 for formulary brands and $50 for non-formulary brands. Ho-hum I was thinking until I noticed this: the $10 for generics is a minimum copay. Let's say he gets a generic drug that costs $8. 30% of $8 is $2.40. But he won't pay $2.40 - he'll pay $10. That's interesting, I thought. Then I looked at my own plan. Whaddya know, same feature except the minimum on my plan is $15. Buy my medications at Wal-Mart but tell them I have no insurance. Because at Wal-Mart each generic costs $4, period. Even I don't need insurance for that. In fact, if I tell them I'm insured, Wal-Mart will file the claim for me and, presto, collect the $15 minimum copay. I'm presently taking two (generic) medications so my copays have been running $30 per month. Not any more. At Wal-Mart, I pay $4 each, saving $22 a month. Read your plan - maybe you can save, too. According to anecdotal reports, a large percentage (perhaps even the majority?) are in favor of a single payor, universal health care plan. Maybe this is true, maybe not. Congress should do something to increase the number of health insurers competing for small employers’ business. This according to a House Small Business Committee hearing. witnesses at the House Small Business Committee hearing said health insurer consolidation already affects small businesses in markets throughout the country. So having fewer carriers competing is bad? A 2006 study, by the American Medical Association, Chicago, found that 95% of the health insurance markets it reviewed had a single insurer with a market share of 30% or greater, and 56% had a single insurer with a market share of 50% or greater, Hughes testified. So what is the proposal to remedy this situation? Well there you go. More competition in the market place is good. Health policy, funding, insurance, managed care, infrastructure, IT, the uninsured, economics and trends ... We avoid things clinical in nature. If you blog on any of these subjects, please feel free to submit your favorite (relevant) post from the past two weeks. Just click here. Entries are due by next Wednesday (but please feel free to submit earlier!). Almost exactly 2 months ago, we reported that AIG's Private Client Group policyholders rate extra protection, courtesy of their insurer. This was at the time of the "Castle Rock Fires" in Colorado. According to ABC news, the same services have been made available to AIG clients in the path of the horrendous California fires. Homes and landscaping are being treated with fire retardant chemicals, at a cost of about $1,000, in an effort to stave off the flames. This special service seems to work: according to AIG, "(s)ince the program was launched in June 2005, three homes have been saved directly as a result." Not a bad trade-off, considering the homes insured under this program average a cool (or is that hot?) $2 mil apiece. UPDATE: Not all such solutions are insurance-based. "As the Witch Creek fire raced through some of San Diego County's priciest neighborhoods and crept to the edge of others north and east of Rancho Santa Fe, not a single home in the five subdivisions that have implemented the strategy was lost, fire authorities said." And what strategy (or, if you prefer, "strategery") was that, you may ask? It seems that certain areas have implemented draconian zoning codes that require sprinkler systems, special landscaping and other measures designed to allow homeowners to ride out the fires if they're trapped "behind the lines." It's controversial, but it seems to work. One of our commenters, Cary, noted this morning that the Feds have "raided" a well-known Medicare/Medicaid health plan provider. According to their website, Wellcare (WC) "has been a leading provider of government-sponsored health plans including Medicare Health Plans, Medicare PDP, Medicaid, State Children's Health Insurance Programs and others." Even more interesting for some is the connection to noted financier George Soros, who provided substantial funding to WC back in the early 90's. According to the St Pete Times' story, the company has bestowed some $105,000 to Republican candidates so far this year, and a measly $5,000 to Democratic candidates. Unfortunately, the Times' seems to have missed the $15,000 WC donated to the Democratic National Committee last year (according to opensecrets.org). So it appears that their political largess is a bit more non-partisan than one might believe from the news story. As Mike noted in the same comments section, "Carroll [Thomas Carroll, analyst with Stifel Nicolaus in Baltimore] suspects the raid is potentially the result of a lawsuit in which an employee brought a matter to the attention of authorities." So is it all smoke and mirrors, or is there something truly amiss? UPDATE: PharmaFraud blog has more. Cavalcade of Risk #37 is up! Spencer Hill, blogging at Hill's Personal Finance, presents this week's edition of the Cavalcade of Risk. Please be sure to check it out. And please consider hosting a Cav yourself: it's fun & easy, and a nice traffic bump (just ask Spencer!). To host, just drop us a line. ■ Over at Roth & Co, FoIB Joe Kristan has some disturbing news about Section 419 plans (no, not that kind of 419). In the life insurance field, Sect 419 plans are (or rather, were) a way to deduct life insurance premiums from income taxes. Joe reports that the IRS is cracking down on these plans, and the folks who implement them, in a big way. ■ From time to time, we like to highlight new (to us) blogs that pique our interest. IB commenter Tiffany has one such, which she's titled, eponymously, Tiffany Insurance. 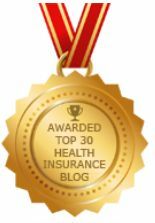 She's particularly proud of this post, which discusses why she thinks health insurance should be dealt with on a state by state basis. ■ From the "Heartwarming Health Stories Dept:" Kevin Connolly, now a 22 year old college senior, was born without legs. Now, though, you can catch him zipping around Bozeman (MT) on his skateboard. When he's not 'boarding or studying, he talks about his amazing adventures. Recommended. A MEDICAL equipment supplier billed the US Government so often for a wheelchair it ended up costing $US5 million ($5.6m). That's some wheelchair. I bet Steven Hawking's chair isn't that much. And last year, south Florida accounted for 80 per cent of the drugs billed across the entire US for Medicare beneficiaries with HIV/AIDS, even though the region has only 10 per cent of eligible HIV/AIDS patients. How long did it take Medicare to suspect something was wrong? Fraud against Medicare, the federal health insurer for America's 43 million elderly and disabled, has become so prevalent that it may rival the illegal drug trade as a crime of choice in a state long renowned for cocaine cartels, political shenanigans and swampland real estate scams. "You can make several million dollars from healthcare fraud and the penalties are much less severe than they are for narcotics trafficking," Mr Acosta said.. In one case, said Alex Acosta, the US attorney for the Southern District of Florida, a company had billed Medicare for millions of dollars worth of specially formulated asthma medication prepared at what the owner claimed to be his own local pharmacy. Millions of dollars for meds. Only one problem. "The person wasn't a pharmacist, he was an air conditioner repairman. Sounds like someone is asleep at the switch. For those of you participating at home, how many want the government to take over your health care? Let's see a show of hands. Okay, call me a geek. As regular readers of IB have no doubt ascertained, I'm an enthusiastic supporter of Consumer Driven Health Care. The basic premise of CDH is that, when consumers have "skin in the game," they're more likely to make informed, rational, effective health care decisions. My friend Dmitriy Kruglyak, editor of Trusted.MD, proposes an alternative: People Powered Health(care). Okay, I admit it: I am a geek. Whenever family members or friends need help fixing their PC's, I'm the first one they call. And I've begun learning about things like Linux, which is part of a (relatively) new movement collectively known as "Open Source Software." OS Software is defined as "a development method for software that harnesses the power of distributed peer review and transparency of process. The promise of open source is better quality, higher reliability, more flexibility, lower cost, and an end to predatory vendor lock-in." The more I consider this, the more applicable it seems to become to the future of health care (and the financing thereof). What if, instead of focusing on "consumer driven" or "people powered" health care, we turned our efforts instead to "Open Source Health Care?" So what would OSHC look like? I'm not really sure. But it seems to me that it would encompass all that's "good" about CDH (consumer empowerment, personal responsibility, transparency and outcomes) and what Dimitry likes about PPHC (peer-to-peer support networks, emphasis on wellness programs, online resources) while encouraging personal responsibility and provider (and carrier) information management. Not bad, but how would it work? 1) I have a visceral distrust of gummint-run health care systems. OTOH, my own industry has to be pulled, kicking and screaming, into making things "work." 2) As much as I advocate CDH, it's slow in "taking off." Part of that is our cultural reluctance to take personal responsibility, but a part is also that we lack both the tools and the incentive to empower ourselves. 3) Dimitry's PPH relies on tech & wellness programs, but seems to emphasize the provider angle. 4) What we need is a catalyst: something to drive us forward, to give people an incentive to make changes in lifestyle, care delivery AND funding (insurance) choices. 5) It occurs to me that we're using outdated models for all of these things. We should be looking at what's currently driving our economy and society: information. And how do we access that information? Computers. But it's not about Windows and Mac's. The real action is in the Open Source community. Why? Because there's a synergy there: folks share info and code, try out new ideas (some of which flame out, but some of which stick). The bottom line is, they're driving information delivery tech forward. What’s appealing about Open Source Software is that emphasis on sharing: new ideas, new tech, new code. Seems to me, Open Source Health Care could emphasize sharing, too: resources, information, outcomes and pricing. The culture of OS is one which embraces and encourages change, not for its own sake, but for a specific purpose. Could we co-opt that culture, and apply it to health care delivery (docs, hospitals, pharma, etc) and funding (insurance)? You’ll have noticed that I’m not proposing any specific ways in which this could be implemented; right now I’m primarily interested in whether the concept makes any sense. On the one hand, it's tempting to put the whole S-CHIP kerfluffle behind us. “The American people should have access to the same array of health care choices and benefits as the senators and representatives they elect,” Senator Hillary Rodham Clinton said as she introduced her health care plan last month. Expand the federal employees plan. How will that help? Seems others have the same question. While health policy experts acknowledge that the federal employees’ program could be a workable way to reach some of the uninsured, they also say there is nothing about it that would help address what they see as an underlying reason for the growing numbers of uninsured: the nation’s runaway medical costs. And without major changes, they say, the model would be sharply limited in achieving the goal of universal coverage for all Americans. Controlling medical inflation is the elephant in the room that no one wants to acknowledge. So how well does the plan work for federal employees? at least 100,000 federal workers — at least 5 percent of the active work force — do not have health insurance. So 100,000 federal employees do not have health insurance. Why? In many cases, according to the union that represents the workers, they consider even the cheapest options within the federal plan unaffordable. The lowest-priced family coverage offered by Blue Cross, for example, costs the employee about $2,400 a year. $200 per month for family coverage is too much? What kind of plan can you get for $200 per month? Just look. I found plans in GA ranging from $136 to $245 for family coverage. These are outstanding values. Federal employees are paid according to published pay grades. Grade 1 is a minimum of $16,016 (in 2005) while Grade 15 is $89,625. In March 2005, the average earnings for full-time workers paid under the General Schedule were $61,735. That's a pretty good salary. Perhaps they need to consider S-CHIP and let the taxpayers further subsidize their coverage . . . The other night, my better half took me out to dinner to celebrate my birthday (my 29th, in fact) [ed: riiiight!]. We only recently welcomed one of those Brazilian Steak House places to our community, and I had been looking for an excuse to gorge myself on meat. Had I been so inclined, I might have headed to Zagat, which rates restaurants on such things as quality, service, price, and value. Now, wouldn't it be nice if such a service existed for medical providers? Well, they do, and we've discussed some of them. Today's USAToday brings news that WellPoint (aka Blue Cross/Blue Shield) has enlisted the services of the aforementioned rating giant, in an effort to better serve their policyholders. WP seems quite pleased with itself for having pulled off this amazing coup. So what kinds of information will we be treated to? Surely we'll learn the prices of different services, as well as the success rates of given providers, right? "Instead of Zagat's four categories for restaurants...the ratings guide will consider trust, communication, availability and office environment." Office environment?! Are you kidding me? Yes, it's always nice to be greeted by a smile, but isn't the whole point of health care to provide, you know, care? What possible difference does it make how friendly the staff is, if the doc is mediocre and the equipment sencond-rate? Granted, there has been some controversy surrounding provider ranking, but instead of confronting and resolving those issues, WP has chosen "the easy route." The good news is, the service, just now coming on-line, is free. The bad news is, you get what you pay for. The Dough Roller presents this week's outstanding CoPF, with a dizzying array of helpful posts, and some cool illustrations, to boot! We've talked about ID theft before, but nothing like Art Dinkin's take at Moment on Money. Recommended. Are prepaid plans the wave of the future? For a monthly fee of $83 per individual or $125 for a family, the clinic provides unlimited primary and urgent care. Those who enroll in the prepaid plan get office visits, lab work, X-rays and as many generic drugs as the clinic can provide. $1000 per year for an individual, $1500 for a family. Sounds like too much for individuals and not enough for a family. One in five patients lacks insurance; others are saddled with sky-high deductibles. One wonders how many of the uninsured will pony up $83 - $125 per month for primary care? As for the folks with the high deductibles, the idea is to get away from prepaying for primary care. I miss the logic as to why someone with a high deductible would want such a plan. Rather, physicians like Dr. Wood see them as filling an important gap in primary care. His main targets are individual patients with basic medical needs and employers who want to supplement costly, high-deductible plans. High deductible plans actually SAVE money. To determine his fees, Dr. Wood says he estimated that the average adult would need about 20 itemized services a year -- from blood tests to X-rays. He leveraged his good relationship with the Ohio Valley Medical Center, an area hospital, to get lab work performed at low Medicare rates. He also put together a list of 100 generic drugs that he could buy directly from wholesalers. Drugs for chronic conditions such as high blood pressure he made available at $10 for a month long supply. Patients who needed to be on antibiotics and other short-term, acute-care medicines would get them at no extra charge. I like the concept. Just not sure it is financially sound. David Yuncke, a private music instructor, was the first to sign up. Joining his wife's company plan would have cost $400 a month, so he'd gone without coverage for four years -- and avoided seeing the doctor. Tests from his first visit with Dr. Wood in late 2003 showed he had a high cholesterol level, of 272. After getting more regular checkups and medication, his cholesterol level has since dropped by half. "I get more than my money's worth," says Mr. Yuncke. "If you don't have something [very serious], this is wonderful." Even though he says he plans to eventually sign up for more comprehensive care, he doesn't plan to stop seeing Dr. Wood. No coverage for 4 years, now has primary care for $83. The good news is he is apparently taking care of himself . . . something he wasn't doing before when he had to pay when services were needed. Must be that monthly payment mentality. Some local business owners say they've saved big by taking the prepaid route. Phil Santinoceto is one of them. After several years of premium increases, he says his medical-billing and management company was paying more than $130,000 a year to cover himself and his 20 employees. In a single year, 2005, he got hit with a 32% rate hike. Last year, he included Dr. Wood's plan as part of the firm's medical benefits. He also switched to a major medical plan with a higher deductible. The result: monthly savings of $4,000. This year, instead of a premium increase, his insurer actually lowered rates by 3.4% -- largely because the staff used less specialty care, required less time in the hospital and used Dr. Wood's clinic for nearly all of their primary care. "That's the first time we've seen [a rate decline] in years," says Mr. Santinoceto. If you are going to buy a prepaid plan, this is the way to do it. I do contend the employer and employee alike would be better off with either an HRA or HSA. As the debate goes on in California (and other areas where mandated health insurance is on the table) the question that is never posed is this. Who pays? "employers don't really pay for health care now, and they won't be paying for it no matter what kind of new law the state passes. We, as workers, pay for our own health care, and if more people understood this fact, the debate over the issue would probably play out in an entirely different fashion." Is the public really that misinformed? ultimately, employers roll health insurance premiums into a package with wages, retirement benefits and any other costs associated with hiring an employee. The employer considers the entire amount to be the cost of each additional worker. Consider a company that provides no insurance now and pays its employees $10 an hour. Suppose the state tells that company it must spend 75 cents an hour (7.5 percent of payroll) on health care for that worker. The worker's labor is still worth $10 an hour to that firm, just as it was before the state passed its law. "Employers have to pay their fair share of the cost of health care insurance," Assembly Speaker Fabian Núñez said last week. "You cannot let employers off the hook." Which leads us to this . . .
Núñez can posture all he likes about sticking it to business. But, ultimately, it is the workers he claims to represent who will be paying the price. Eighty-percent of people who buy employer-sponsored health insurance incur less than $1,200 in yearly health-care expenses. Another 10-percent accrue expenses totaling $1,200-$3,000. The final 10-percent require more than $3,000 to cover their yearly health-care needs. This is not a trade secret, yet consumers seem to ignore their own past as well as national stats. But the average group (employer-sponsored) health-insurance policy costs $350-$800 every month — up to $9,600 yearly per employee. The reason for this high cost, low value equation is simple: Blue Cross, CIGNA, HealthNet, and every other major carrier aren’t selling you health insurance. Their expensive premiums fund pre-paid health care. Prepaid health care. I like that term. May have to steal it. Don't forget: we still have hosting slots available. Please drop us a line to reserve yours. Close to 80% of American voters in a recent survey say they want to see long term care included in the healthcare proposals offered by the presidential candidates. The survey, conducted by Public Opinion Strategies and the Mellman Group, also found nearly 70% of Americans have not made any plans for their own, a spouse’s or another relative’s LTC needs. Yet over 50% said they have had a loved one who needed some form of long term care. Yep. That light at the end of the tunnel is an approaching train. The polling also showed that Americans are willing to bear part of the responsibility to develop a national LTC program. Part of the responsibility. Why not all? Of those who supported new taxes or payroll deductions, 68% also said they would be willing to pay between $25 to $50 per month to support such a program. So what do a deceased musician, an ice cream company and a brand-name drug have to do with each other? And why should you care? Let's take that last one first: as we've noted many times here at IB, the cost of medications has caused major increases in the cost of health care, and thus health insurance. Since this affects everyone's pocketbook [ed: "pocketbook" is so quaint; don't you mean "wallet? "], it seems to me that anything we learn that can help us to understand this dynamic must be a good thing. "Call it tuning, if you prefer. Lipitor tunes our cholesterol. Anti-stroke medicines tune our platelets, antidepressants our serotonin and dopamine, heart medicines our angiotensin-converting enzymes, contraceptives our estrogen. Cancer drugs tame or kill our own mutant genes. And for every drug to suppress chemical excess, there’s another to address deficits: insulin for the underperforming pancreas, clotting factors for bleedy blood, Synthroid for the tired thyroid, and cancer-suppressing proteins to lend a hand to tumor-suppressing genes." It's about balance as well as perception, of course; sometimes the cure is indeed worse than the disease. But it goes beyond that: if we're constantly looking to "tune" ourselves (remember our post on Jiffy Lube medical clinics? ), aren't we also contributing to the increasing cost of health care? On the other hand, if the alternative is to ignore or leave untreated potentially life-threatening illnesses, we're also responsible for raising that bar, and those costs. It's not so much a "lose-lose" or "win-win" as it is "actions have consequences." The National Council on Aging's (NCOA) BenefitsCheckUp.org was recently named the best retirement finance site on the Web by a group of USA Today staffers. It provides information on more than 1,450 public and private benefits programs for seniors in all 50 states and the District of Columbia. The site helps seniors or their caregivers enroll directly in the programs they are eligible for via printable and online application forms. This is an invaluable site. Our favorite Health Care Economist, Jason Shafrin, hosts this week's round-up of all that's wonky in the health care world. With helpful categories, and a 'Top 2 List," there's a potpourri of policy posts [ed: enough already with the alliteration!]. After our recent SCHIP kerfluffle, I was pleased to see Patient Blogger Lisa Emrich offer a very different perspective, as well as helpful links for folks who've fallen through the cracks. Our own Bill Halper represents IB this week, with his take on the SCHIP "food fight." Some time back, the driver’s-side door of our family car got in an argument with a parking-garage pillar. I found a body shop to fix it and my insurance company paid the shop, less the deductible. More frequently, an insurance company will issue a check directly to the policyholder. But in either case, the policyholder decides who’s going to fix what’s broken. Here’s a thought: Why doesn’t health insurance work that way? At one time that was exactly the way it worked. Of course this was before we found it much more convenient (and pricey) to fork over a copay for a doctor visit and prescription drugs. One Overland Park woman (who asked that her name be withheld) said she needed a colonoscopy and had a high-deductible policy, but had a tough time getting a clinic to tell her what it would cost. Granted, some procedures can be quite challenging and difficult to price. But we can already offer general price guidelines for things such as delivering a baby. Colonoscopy's should be no different. Health insurance that allows patients to pick providers would also help lower costs in chronic care, which generates the highest costs in health care. Currently, Goodman said, insurance pays by task and care is fragmented. A diabetic must visit many different providers. Why are most consumers resistant to change when it can cost them less and give them more power? Most people can’t imagine what a real health-care market might look like. But something similar already exists in the markets for auto and homeowner insurance. Something we have said on multiple occasions in this forum. Thirty-five years ago, a since-retired colleague wrote a life insurance policy on a friend of his. That friend died on Monday (3 days ago), and his widow called me on Tuesday to let me know. I expressed my condolences, and assured her that I'd arrange for the forms we'd need right away. Once we hung up, I called the Policy Holder Service line at Great West Life (800-274-9628) and explained the situation. The young lady who had taken my call asked me to hold on while she checked something, and came back a few moments later. She assured me that the forms would be faxed to me within the next 24 hours. And now it's Thursday morning, 48 hours later, and no form, so I call again. This time, I'm told that it will take a minimum of 5 to 7 days for those forms to be faxed to me. I indicated that this didn't sound right, but the lady was firm, and suggested I call the Claims Department (800-537-2033) and check with them. And so I did. And I was informed that this seemingly simple process -- simply faxing a standard form -- will take a week or more to occur. That's a week while the widow waits for the opportunity to file the claim, let alone how long these morons will drag their feet before actually paying it. And yes, I used the "m" word; this is most assuredly not typical of the life insurance industry, and Great West Life should be ashamed of its abhorrent claims service. There's a reason we haven't written business with them in years. "The growing problem of obesity risks bringing financial ruin to the National Health Service, a study has warned...Research commissioned by the Government in 2005 has warned that half the population will be obese within 25 years if current trends continue." "Pushing diets probably won't help. Neither will teasing about weight. Instead parents should focus on having frequent family meals, creating a positive atmosphere at mealtimes, promoting physical activity and building self-esteem, the researchers recommend." Given the reputation of English cooking, that may not offer much hope for our British cousins, though. "CONFECTIONERY giant Cadbury is to slash the cost of three of its top-selling chocolate bars by about 40 per cent in the run-up to Christmas, in a move which health experts have warned could contribute to the UK's obesity epidemic." Now, we've touted the amazing health benefits of chocolate more than once here at IB, so this is sort of a "good news, bad news" kind of thing. But the key seems to be moderation, which may be more difficult as prices for the tasty treat plummet. On the other hand, maybe it's time to switch to another healthy food group. Now Kroger is joining the party by offering $4 generic drugs. Check this site for participating pharmacy's. Not here - over at the Colorado Health Insurance Insider. Host Jay Norris now offers an "Open Mic" (as in "open microphone") feature, where he and Louise will offer readers the opportunity to blast off about health insurance issues. The inaugural edition features a "Letter to the Editor" originally submitted to HWR, but which seems perfectly fitting as the debut item. No word yet on whether blog-karaoke is in the offing. It's that time of year again, where millions of employees begin to make their health insurance choices for the following year. As I mentioned at this time last year, our family's benefits come to us courtesy of the Fortune 500 company which employs my better half. And once again, in addition to the usual co-pay type plans, the company is pushing HSA-compliant High Deductible Plans. Unlike last year, however, the folks in HR (or at least those advising them) have finally "gotten it," and have done a pretty good job. To wit: they've put together a menu of choices (hence the over-used term "cafeteria plan") whose centerpiece is the HSA. And they've done a masterful job of selling it, as well. You may recall that, last year, the HSA was clearly an aferthought, with no effort made to make it the least bit attractive. For an extremely modest premium savings, one was presented with an over-the-top out-of-pocket exposure. There was little (if any) effort made to explain the myriad benefits accruing to HSA's, perhaps because most of these were absent from last year's model. But what a difference a year makes. Several weeks ago, for example (and well before "election time") we received a colorful, interesting, and helpful guide to HDHP/HSA's, with practical, real-world examples (which reflected real-life numbers, as well). I especially appreciated the approach: it closely tracked my own HSA sales shpiel. It was also pretty fair to the other models, explaining differences in out-of-pocket, savings and claims issues. I'm still not thrilled with the configuration: a high deductible, yes, but they've kept the 80/20 coinsurance "corridor" in place, which I think unnecessarily complicates the product. They have priced it appropriately, though: folks who choose the HSA route pay the least in additional premium contributions. For our family, that represents $800 (minimum) annual savings versus a co-pay plan. The deductible is modest: $1200 for singles, $2400 for families. That's actually towards the low end of the deductible choice spectrum, so it's a great "introductory" program for folks who are unfamiliar with the concept. The powers that be at the home office must be closet IB readers, because they obviously understand that rate increases on HDHP's are substantially lower than their co-pay cousins. To that end, they've offered a deal that would be difficult to refuse, even if one were so inclined: in addition to the premium break, they're "seeding" employees' HSA's with real, up-front, cash money: $400 for individuals, $800 for families. Wow! We've also written about the new product trend towards preventive care. To that end, the carrier-of-choice (one with which I'm very familiar, and have had good experience) covers routine, preventive items (e.g. cancer screenings, vaccines, etc) at 100%, regardless of whether or not the deductible has been met. In fact, that same benefit applies to folks in co-pay plans, as well. We elected to contribute the max to the loss-fund (Health Savings Account), based on previous years' usage. It's a great deal, of course: if we end up not using it all, it rolls over (one of the great things about HSA plans). In the event, we're looking forward to being a part of the new health insurance evolution, and I'll be sharing our experiences with it throughout the coming year. Cheers! Although it's apparently not obvious, when proponents of a $35 billion expansion of the SCHIP program first chose a spokesfamily, they apparently didn't think that folks might have a problem subsidizing the misguided choices that family had made. At the time, I opined that surely there were more appropriate examples out there, truly poor families who were forced by circumstance to choose between health coverage and meals. So I was relieved to learn that these folks had "moved on" from the unfortunate Frost episode, and found a more "deserving" family. Our new Poster Child, "Baby Bethany Wilkerson" comes to us courtesy of Dana and Brian W. The infant suffers from a congenital heart defect. During a conference call sponsored by USAction (a hard-left advocacy group), Dana admitted that she and her husband had long wanted children, and that she had voluntarily quit a job with benefits (including medical insurance) because she was unhappy there. And instead of finding another job with benefits (or at least buying an individual major medical plan), she and Brian chose to self-insure, and now expect the taxpayer to bail them out. If all this sounds familiar, don't be alarmed: it is. So I'll ask again: isn't there some family somewhere that actually needs this program? How come its advocates can't find any? FACT-CHECK UPDATE: Since in this case there's no indication that the parents even bothered to shop for individual coverage, let's see "what might have been:"
Agent: Hello, how may I help you? Dana W: Yes, I'd like a quote for health insurance for my husband and me. We're both 30 years old, don't smoke, and are in good health. Agent: Great. Since we're on a nationally-broadcast phone call, I'll use Humana's quoting site because they're available pretty much everywhere. I'll plug in a Tampa zip code that I got from Google; if it's the wrong one, the numbers won't be too far off. Of course, people listening in can feel free to use whatever quoting source they choose. Dana W: That's all very interesting, I'm sure, but what's the damage? Agent: Well, for a pretty decent co-pay plan ("Autograph Share"), your premiums will run about $132 a month, or about the cost of a latte per day. Agent: Oh, I understand. Figure about $60 more each month, or a biscotti a day. Everyone listening in: Yeah, Thank You! We recently learned the plight of dental patients in the U.K.. Seems the folks stateside have their own issues to deal with. A dentist accused of fondling the breasts of 27 female patients is trying to keep his dental license by arguing that chest massages are an appropriate procedure in certain cases. Mark Anderson's lawyer says dental journals discuss the need to massage the pectoral muscles to treat a common jaw problem. Apparently this only works on female patients. Deputy Attorney General Jeffrey Phillips gave Lew three new complaints, including one from a 31-year-old woman who said Anderson fondled her at least six times over two years. Then again, maybe not . . .
Six treatments and she apparently still had a problem. A few months ago, I was asked by a colleague to track down any information I could find about Pilgrim Life Insurance Company, originally domiciled in Indiana. I checked with the "usual sources" (Google, A M Best, etc) to no avail. "Founded in 1898 in Augusta, Pilgrim Health and Life Insurance Company became the first insurance provider for African Americans in Georgia. A black-owned and -operated company, Pilgrim was one of the largest employers of African Americans in Augusta and issued tens of thousands of policies in the first decades of the twentieth century." About 20 years ago, the company was bought by the Atlanta Life Insurance Company, which was founded just a few years after Pilgrim Life. In fact, today Atlanta Life boasts that it's the "No. 1 African-American reinsurer of group life benefits," no doubt building on its previous absorption of Pilgrim Life. Atlanta Life was founded by a former slave (Alonzo Franklin Herndon); Pilgrim Life by a young black man (Solomon W. Walker), whose day job had been delivering groceries. Atlanta Life's Alonzo Herndon became a successful barber and real estate investor, who saw a need for low-cost insurance products for a then-burgeoning working class. Investing some $140, he was able to build his fledgeling enterprise into a company that today boasts over $200 million in assets. Meanwhile, Mr Walker also saw a need for a "benevolent society" that would offer insurance policies to an underserved market. What a lot of folks don't know is that, years ago, life insurance applications asked not just one's height and weight, but race, as well. This is not something of which my industry should be proud, but it did happen, and I'm pleased that this practice was discontinued long before I began my own practice. In the event, Mr Walker saw a need, and determined to fill it. Although Pilgrim Life no longer exists as a separate entity, one imagines that the founders of both companies would be quite proud of the legacy they've left behind. I would encourage our readers to take some time and read about a chapter of our nation's history that doesn't get a lot of airplay. And thanks, Fred, for the tip. This week's Grand Rounds is all about emergency-related health care (which makes sense, since it's hosted by NY Emergency Medicine). With over two dozen posts, you're sure to find at least one that'll pique your interest. Kerri at Six Until Me, has an emergency tale, all the more compelling because it's her own. According to some of our recent commenters, we're right-wing nut-jobs who hate children and the poor, and don't understand the juggernaut that is the Democratic party's 35 billion dollar expansion of SCHIP. "A slim majority, 52%, agreed with Bush that most benefits should go to children in families earning less than 200% of the federal poverty level...A larger majority, 55%, said they were concerned that the program creates an incentive for families to drop private health coverage for a public program." Lost in this debate, of course, is the underlying issue of personal responsibility. For folks who can afford even catastrophic coverage, it seems prudent to shop for it before there's a claim, not after. And the clear message from the second part of the poll is that, if you choose to self-insure, don't assume the taxpayer is going to cheerfully bail you out. In all the hussle-bussle of the SCHIP kerfluffle, I missed that the 2007 Weblog Awards nomination process had begun, and it ends today (10/15/07). UPDATE: Looks like they've extended the deadline to Wednesday, but Thanks to Tom and Fred, we snuck in today. We'll let you know when voting begins. When contemplating moving to a different state, people generally consider how much it will cost to buy or rent a home and cover daily expenses. But if you need to buy private health insurance, you also should factor in medical expenses. Many people overlook this. One of the issues of employer provided health insurance. The MacMahons' move to New Mexico appeared to make sound financial sense. It is generally cheaper to buy a house in New Mexico than in New York, and the cost of living is lower. Plus, the average monthly premium for single health-care policies, at $165, is among the lowest in the U.S. New York's average is $312, the third highest after Massachusetts and New Jersey. New Mexico has some of the lowest prices for health insurance. Wonder why? However, in New York, insurers are required to charge all consumers the same or very similar premiums without regard to such factors as age, gender or health status. So a similar policy costs $312 in N.Y. vs. $165 in N.M.
Is this the face of universal health insurance? Missing for more than a week. Amazing she survived. Tom Rider said that, though he has health insurance through work, his wife does not because she just recently started her jobs. He has a job and health insurance. She has a new job and no health insurance. OK, what is missing here? The Riders were working two jobs each to save money for a house. Just another of the 45M or so who are uninsured. People make decisions and choices. Sometimes it works in their favor, sometimes not. I wanted to see what people there had to say about the healthcare woes of General Motors Corp. and whether, like the automaker, they're finding the cost of insurance too much to bear. In fact, I found only two people within the span of a dozen blocks who even had health insurance. The rest hold steady jobs and work hard but regard health coverage as a luxury they can't afford. Well there you go. Hard to argue with this kind of reporting. Wade Lawson should have such troubles. I met him standing alongside a sightseeing trolley, trying to coax out-of-towners into visiting the purported homes of movie stars. The theme from "The Andy Griffith Show" played from a nearby storefront. As I recalled, no one in Mayberry had trouble paying for healthcare. In Mayberry folks looked to their insurance plan to cover the catastrophic claims. They didn't feel the need for doctor copays, Rx copays, well visit copays. They just paid for that out of pocket. Lawson, 37, told me he used to be very well-insured as an investment banker for Merrill Lynch. Then he came to L.A. and got the acting bug. He landed a few gigs but nothing steady. Now, he's a part-time tour guide, part-time surfer, part-time snowboarder and aspiring helicopter pilot. If it weren't for his domestic partner's coverage, Lawson said, he has no idea how he'd get insurance. This is just a wag, but I don't think surfing and snowboarding pay much. I suppose the taxpayer needs to pick up the tab for him so he can continue to act like a 12 year old. Jones, 30, was smartly dressed and strikingly attractive. She said she arrived from France about a month ago and is hoping to make it in L.A. as a freelance photographer. It hasn't been easy. "We haven't been able to find any insurance that we can afford," Jones said. "It's so frustrating. This is the first time in my life without insurance." Jones said her daughter woke up Tuesday feeling poorly. At a loss for any other course of action, she headed to the free clinic, where she was told to return that evening and maybe her daughter would be seen. Or maybe not. Sounds like free health care is rationed. It seems the issue of the Frost's is not going to die a natural death in the blogosphere but I am almost ready to move on. Except there are a few questions still unanswered. One question is very important, at least to me. Thanks to Michelle Malkin for fleshing out this story a bit more. Here is a summary. Michelle asks the burning question "Who deserves government (taxpayer) subsidized health insurance"? She then goes on to explain that the Frost's own 3 vehicles. A Volvo SUV, a GMC Suburban and a Ford F-250. There are only 2 adults of driving age so why three vehicles and presumably three insurance payments? Is this the kind of family that needs S-CHIP? Early reports indicated 2 of the 4 children were in private school. It appears that was not correct. All 4 attend private school. Some have reported they are on scholarship, others have indicated the state of Maryland is paying at least a portion of the bill and someone suggested the tuition is paid by the grandparents. Regardless of the source the tuition exceeds the reported income of this family. Since Michelle actually visited the neighborhood where the Frost's live, as well as the commercial property owned by the Frost's, I give some credence to her reporting. I am happy to report that at least one question has been answered. It seems that the $1200 figure quoted for health insurance premiums was the result of a search AFTER the accident. So one can presume (with some validity) that neither the parents nor the children were covered by private insurance before the accident. Michelle also validates the price of insurance for a family of 6 in Baltimore by stating the coverage is available from Golden Rule for prices ranging from $190 to $423 per month. She also states the obvious. OK, it is obvious to most adults with a moderate ability to understand the basics of insurance. We do know the children are currently covered by S-CHIP, but this begs the question . . . WHEN did they come under the S-CHIP umbrella? Could it have been AFTER the accident? Inquiring minds do want to know. One last thing. If you read the comments on Michelle's piece you will see several who apparently have not bothered to research the accident. They make mention of the possibility of an insurance settlement that has provided some of the nice things such as the 3 automobiles, private school tuition, etc. I suppose that is possible except for one thing. The reports I read indicate this was a single car accident. Bonnie Frost was driving, hit a patch of ice, and ran off the road into a tree. Now I suppose they could have sued the government entity for improperly maintaining the road. They could have sued the owner of the tree for planting the tree in such a hazardous spot. And they could have sued the auto manufacturer for improper design. But none of this has been reported. I am not in the auto insurance business, so I have no way of knowing if the liability portion of your auto coverage extends to family members injured in a car driven by the named insured who was using the family vehicle. If I had to guess I would say the answer is no. But that is just a guess . . . I really do want to know when the children went on S-CHIP but I suppose that will never be answered. I guess some folks can't handle the truth.